The Chargers welcome themselves to LA. But will LA welcome them? 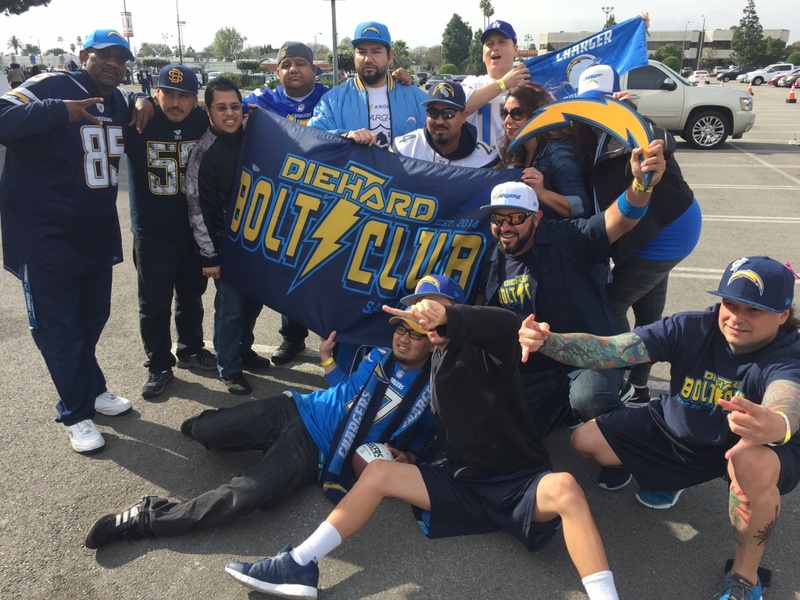 Chargers fans in Inglewood cheer the team's move to Los Angeles. It felt like déjà vu. Almost exactly one year after the Rams hosted a nearly identical event on the same stage at the Forum in Inglewood, it was the Chargers' turn: blue and gold one year, baby blue and yellow the next. Inglewood mayor James Butts said he could hardly believe his city's good fortune. "One day I'm going to wake up from this dream," said Butts. "In less than one year, we've gone from having no NFL teams to two." However, there has been much less excitement for the Chargers, who are not only second to arrive but also don't have the same fan base as the Rams, who played in Los Angeles for decades. Los Angeles Times columnist Bill Plaschke sent the Chargers a blunt message in his column last week: "We. Don’t. Want. You." When he stepped to the podium in blue jeans and cowboy boots Wednesday, one almost had to feel bad for Chargers quarterback Phillip Rivers, who expressed displeasure about leaving San Diego. “All I heard the past couple days was how no one wanted us up here,” Rivers said. Those who did want the team included the 32 NFL owners and commissioner Roger Goodell. They wanted two teams in the country’s second largest market to help achieve an ambitious goal of growing the league's revenue to $25 billion by 2027. "There's a transition period here," Goodell told KPCC. "The teams would be the first to tell you they have to compete and they have to win." Despite a bad start for the Rams, Goodell said with a $2.5 billion stadium scheduled to open in 2019, he is confident this time the NFL will succeed in L.A.
"We’re building an extraordinary stadium, which I think will make the biggest difference," he said, "because we always said when we left here it was because we couldn’t find that stadium that meets the standards that Los Angeles needs." For their part, the Chargers – now shrugged off in Los Angeles and shunned in San Diego – appear to be trying to show they are coming to town with a humble approach. "We know we have a tremendous amount of work to do," said Chargers owner Dean Spanos. "We know we need to get to know this community – listen and learn what makes L.A. tick."